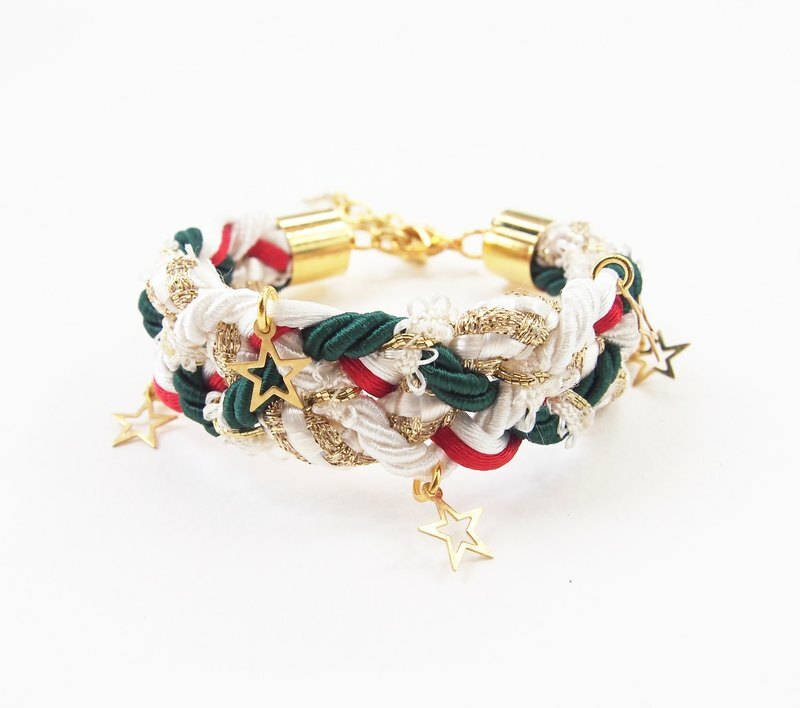 Christmas collection: braided bracelet with star charms. SIZE Guide: ♥ S 13-14 centimeters ♥ M 15-16 centimeters ♥ L 17-18 centimeters ♥ XL 19-20 centimeters ♥ XXL 21-22 centimeters **Every Size Can be 4 centimeters Adjustable Extension chain** **Normal Size M is 15-16 centimeters** If you are not sure about the size, please feel free to contact me. I always available for custom requests! Origin of goods / products to Thailand.